Betsy Murphy is proud to be an artist. She enjoys creating her own artwork in her home studio in Eastchester, NY. She takes great pleasure in sharing her knowledge of fusing glass and the process of making art. Betsy’s solo art show, Reflections & Crossroads, promotes her fused glass art and her understanding of how much art affects her life. Betsy is fortunate to earn a living by teaching elementary art in Rye Brook, New York at Bruno M. Ponterio Ridge Street School. Betsy is a College of New Rochelle graduate who received her Bachelors of Science in 1990; she majored in Art Education while earning her teaching certification. She has a M.A. in Education with a concentration in Gifted and Talented Education. For the past eleven years, she has been an adjunct professor for art education courses at Manhattanville College in Purchase New York. 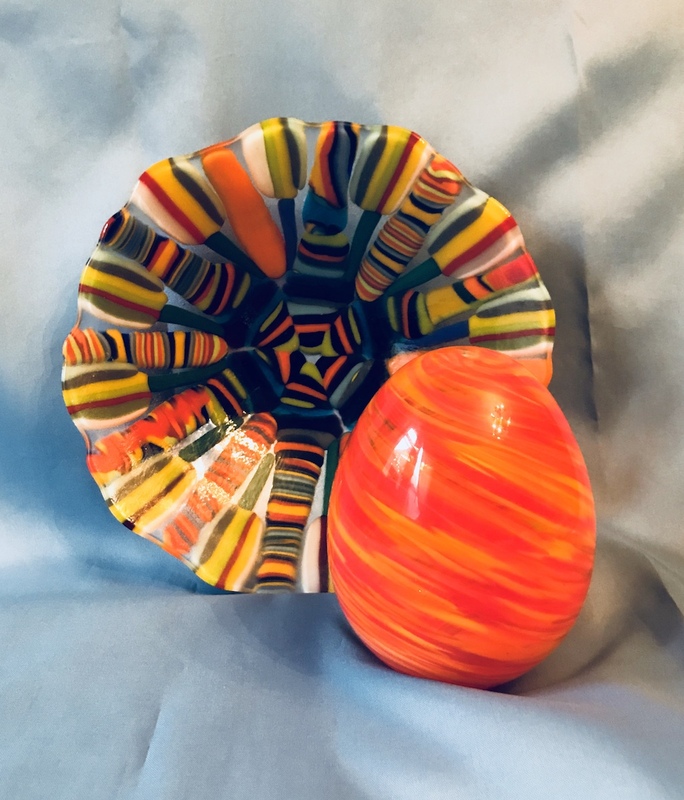 The Bullseye Glass Resource Center in Mamaroneck, New York, has served as a springboard for her continuous energy to create fused glass objects. 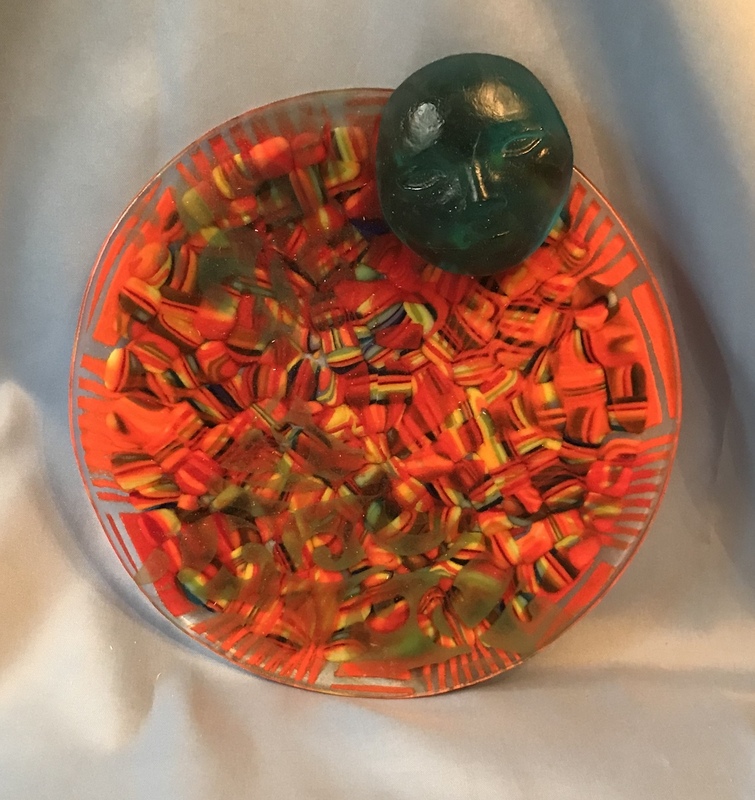 Different colored glass, different forms of glass and varying kiln schedules provide a wide variety of effects for jewelry and functional art glass. When she is creating, she does not start with a conceived pattern or design. She pieces together each project, which leads to the finished artistic creation. Her glass projects allow her thoughts to materialize into ideas, which she is able to capture. 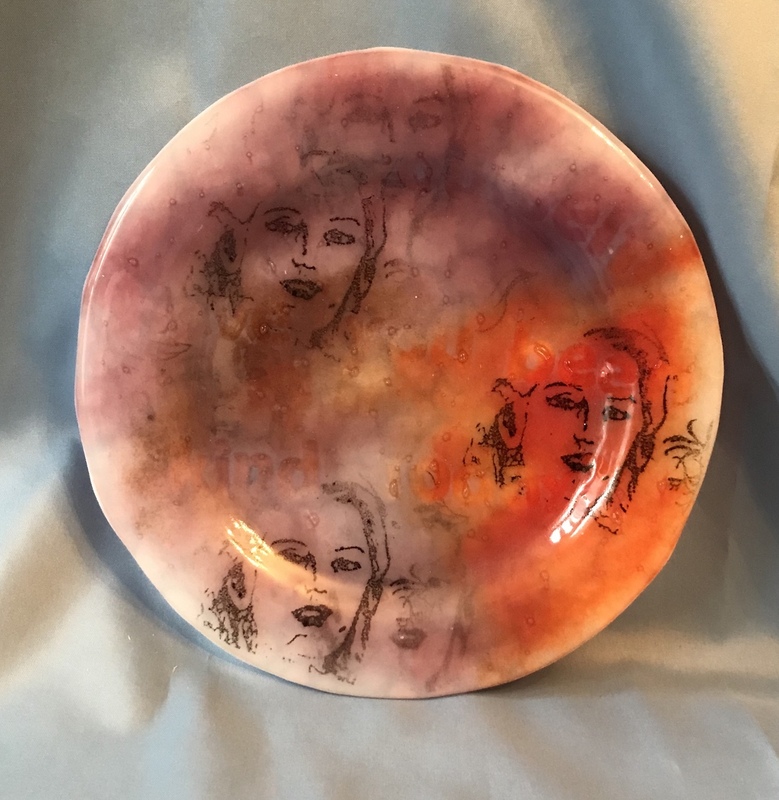 Glass fusing has supplied her with a focus in art, a reason to visit new places, excitement and energy to create, a field of experience that connects her life-long learning in the arts, and a bond with other people. She is anticipating her solo show will display some of the artwork that she believes in at a point of her life where she is endlessly being able to learn and grow.